SHERBROOKE, Que. 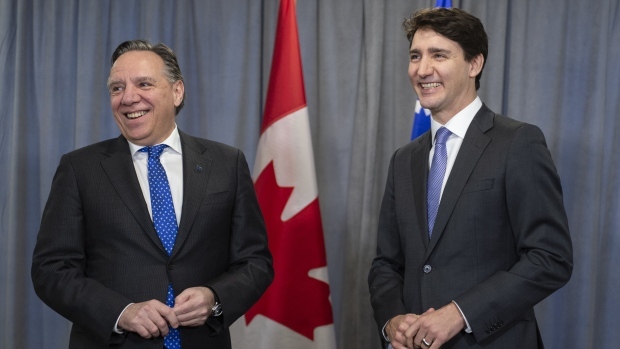 -- Quebec Premier Francois Legault laid out a shopping list of demands Thursday that he expects party leaders to address as they woo voters in his province during the coming federal election campaign. -- Give Quebec $300 million to compensate for the costs incurred dealing with the influx of thousands of asylum seekers crossing into Quebec from the United States at unofficial border crossings. -- Fund public transit projects in Montreal and Quebec City. -- Agree to a single federal and provincial income tax return, managed by the Quebec government. -- Give Quebec more power over the selection of immigrants to the province. That includes Legault's plan to reduce the province's annual intake by some 20 per cent and to impose a "values test" on applicants. 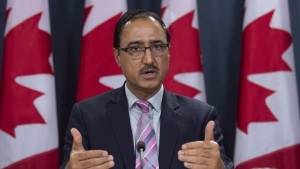 -- Compensation for dairy farmers, who will be hurt by a new North American free trade agreement that gives American producers slightly more access to Canada's supply managed market. On Thursday, Infrastructure Minister Francois-Philippe Champagne argued that allowing Quebec to administer a single tax return would throw some 5,000 public servants out of work at federal tax data centres -- one of the largest of which is in Shawinigan, in Champagne's riding.